Start your holiday celebrations with a trip on the Amtrak Pacific Surfliner. Sink into your seat and enjoy the diverse scenery of Southern California. Plan ahead to help avoid crowds and make the most of your trip with these tips. Traveling with a bike makes it possible to experience your favorite areas in a new way. 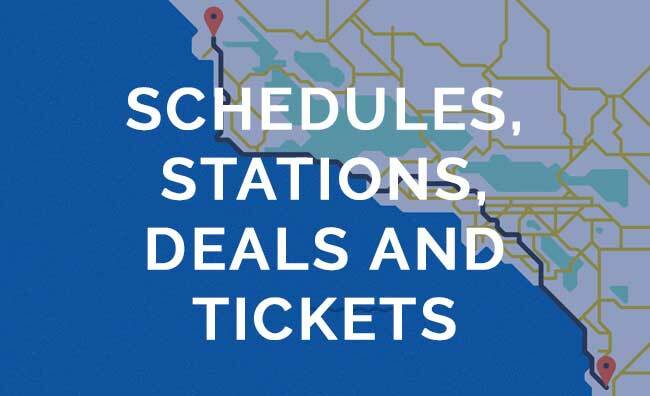 Here’s everything you need to know about adding a bike to your Pacific Surfliner trip! Visit our onboard Café car to enjoy a variety of snacks, sweets, light meals and beverages. Many products are locally sourced from along the Pacific Surfliner route!